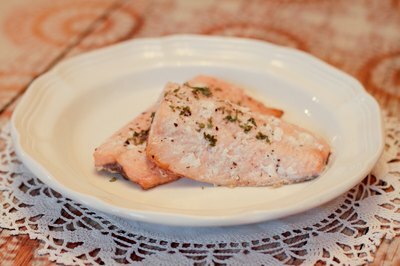 Grilled salmon can be the focal point of many meals depending on what you serve it with. 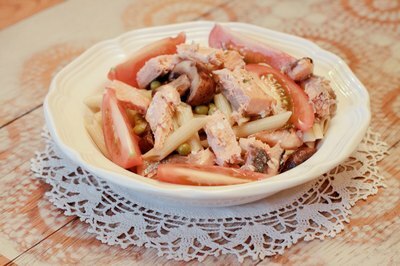 Not only can it be served hot on a plate with a few strategic sides and sauces, it can be made into a sandwich like tuna, used in a salad and tossed in a dish of pasta. 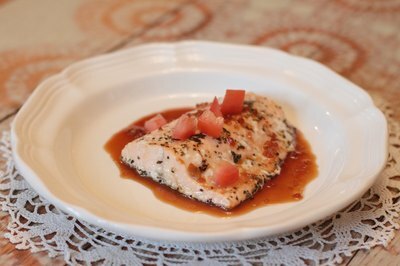 Whether you are cooking American, Asian, Italian, or Latin cuisine, you can make your meal feature grilled salmon. To give it the right ethnic flavor, change the glaze or the sauce you serve it with. 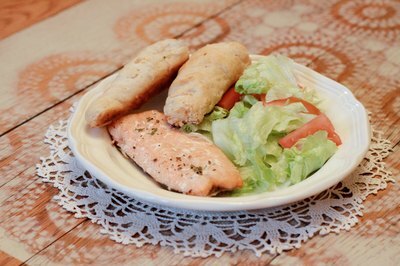 Plain grilled salmon goes well with homemade bread and a green salad. Add steamed asparagus and a tangy potato salad. Serve tartar sauce along with sliced lemons, and garnish the fish with a sprig of fresh dill. Add a scoop of vanilla ice cream and sliced strawberries for dessert. Chilled pieces of grilled salmon make a gourmet salad. Add it to a bowl of mixed greens, sliced tomatoes, olives, onions and blueberries. 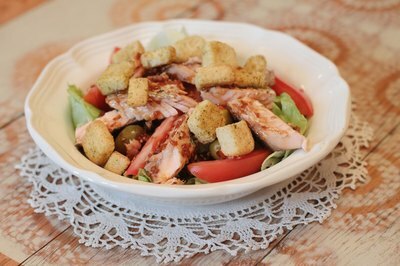 Pour a citrus-based vinaigrette dressing over the top, and add fresh croutons. Slice grilled salmon into bite-size pieces. Toss them into a bowl of cooked pasta with capers, onions, garlic, mushrooms, green peas and sliced fresh tomatoes. Fold in a heavy cream sauce with a generous portion of freshly shredded Parmesan cheese. Serve with white wine and French bread and butter. Serve grilled salmon with a special sauce to give it an ethnic flavor. Make it Mediterranean by brushing on olive oil, minced garlic, thyme, mint and oregano. Make it Italian by adding basil and chopped fresh tomatoes in place of the mint. Give your grilled salmon an Asian flavor with a maple soy glaze spiced with garlic and ginger. You can even make it spicy Mexican by creating a lime-butter sauce flavored with cilantro and jalapeno peppers. To give grilled salmon a traditional American kick, cover it with a honey-mustard sauce, and add a few whole mustard seeds. What Do You Garnish Ham With?